It's that time of year again, where we are planning out the holidays and thinking about how to make Christmas meaningful for our families. As part of that we are trying to get some of our gift purchasing done ASAP so we can focus on our families and all the fun activities that are part of the holidays. 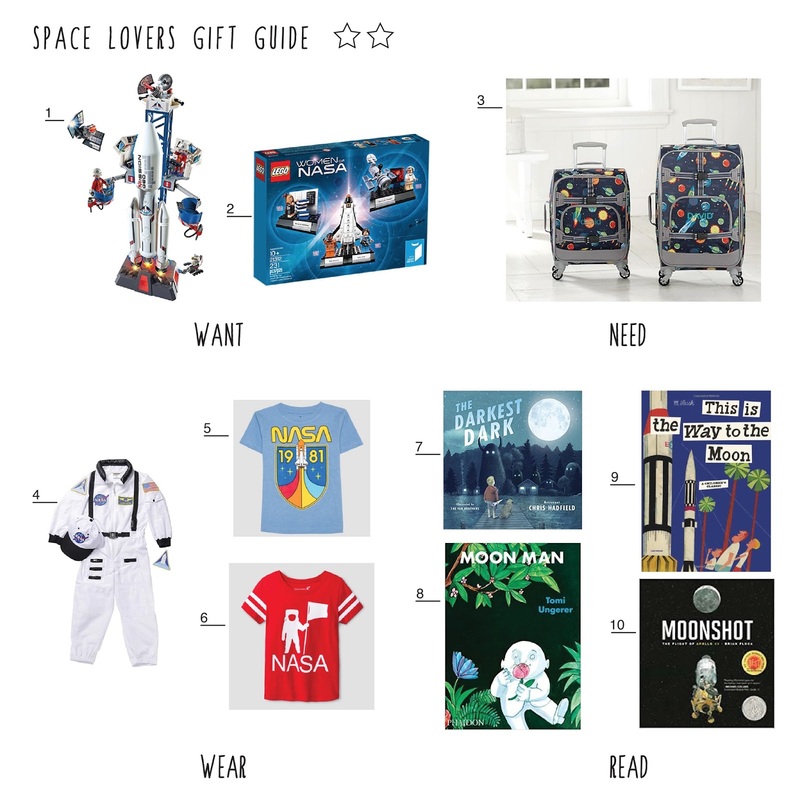 We thought some of you might be doing the same, or at least making some lists as Black Friday approaches so we happily put together some gift guides for you all. This year we decided we were going to use a more minimalist approach also known as the 4 gift rule. We've put together some incredibly fun themes and we'll be sharing a few things that fit in the something to wear, something to read, something they want, something they need categories. Without further ado, check out our space themed guide. And let's not forget stocking stuffers! Seriously, who doesn't love discovering the treasures a stocking holds? This theme lends itself to so many fun ideas, we'd love to hear what you would add to our list.